John Barry - "The Real ... John Barry"
Cover spotted on the Polish Sony website. Same photo session as the photo that we used for our book "John Barry - The Man With The Midas Touch". On 30th September, John Barry's "Raise The Titanic" score will become the first in a new series of Silva Screen vinyl releases for the serious soundtrack collector. The series will include scores of outstanding quality that for some reason or another exist in their best form as a recording made subsequently to the original soundtrack. The film of Raise The Titanic was panned by both critics and audiences alike upon its release in 1980. However, although the music was almost universally admired, the masters were either lost or destroyed. When Silva Screen embarked upon a series of recreations of previously unavailable Barry scores -- masterminded by Nic Raine & James Fitzpatrick -- Raise The Titanic proved a very popular release, selling thousands of copies on CD. Now aficionados of John Barry and/or Raise The Titanic have the opportunity to own a vinyl version of this classic score, hopefully for a sensible price! Sony to release budget-priced 3-CD box-set: "The Real .... John Barry." On October 14th, Sony will release a budget-priced 3-CD box-set: "The Real .... John Barry." It's similar in content to the previous Sony box-set, Themependium, but includes at least one track that wasn't on that one: Theme from "Romance for Guitar and Orchestra". There may also be two versions of "The Ipcress File". It appears this time all the vocals included on Themependium have been omitted, and we must hope that "Sleep Well My Darling" & "Mary, Queen of Scots" have been properly remastered! It's a pity they have apparently not included the "b" side version of The Lion In Winter featuring Alan Haven, but then, I don't suppose they knew about it. 15. Theme from "Romance for Guitar and Orchestra"
17. Theme from "The Appointment"
We are very sad to report that John's elder sister, June, died on 19th July, aged 86. She had been suffering from dementia for the last few years, but appeared in public in 2011 at a York concert held in memory of her brother's life and career. Mrs Lloyd Jones was a talented oil-painter who often exhibited locally. Her husband, David was a potter of some renown, the couple having met at Guildford School of Art. Previously, like John, June had attended the Bar Convent School, before studying at York School of Art. June and David married in York in 1955 and had four children: Simon, Caroline, Emma and Abigail. June had been widowed since the passing of her husband in 1994. "Please note: This was screened in July 2016." 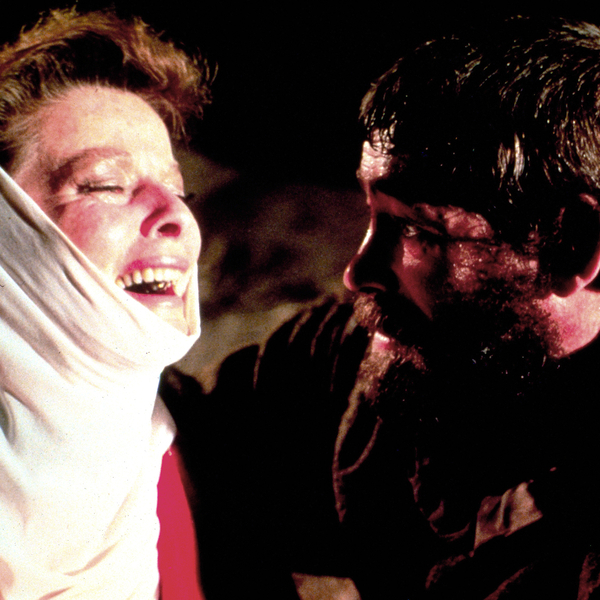 "Join us for the world premiere of this new restoration of the ultimate dysfunctional family drama The Lion In Winter, the centrepiece of Cinema Rediscovered's tribute to the late cinematographer Douglas Slocombe." On the 2nd September, the PD specialist Real Gone Music (not the US label of the same name) is releasing a box-set (4 CDs) entitled "Two Classic Albums Plus Singles" by John Barry. No further details are provided but their track record suggests this will be Beat Girl/Stringbeat plus all the JB7 singles up to the end of 1962. More news on this when we have it. This is an interesting combination of tracks from both EMI &amp; Ember, and it’s quite rare to see this released on one CD compilation. The second CD, a 2-disc affair, contains a reissue of Fool Britannia, the UK release of which was supervised, by Barry, and was a major hit at the time of its original vinyl release in 1963, plus the two tracks by Miss X, produced by Barry. Also included is Anthony Newley & Leslie Bricusse’s Stop the World, I Want To Get Off album, selections from the film soundtrack of Scandal (1989) plus a few tracks from the highly regarded satirical BBC TV series, That Was The Week That Was, from 1962/3. "This edition is an anthology of John Barry’s music for film, television and radio, spanning the first half of the 1960s." There are other errors in the track listing. All above were "inspired" by Zulu. Nothing to do with John Barry! From the film of the same name. We are trying to gauge likely support for a Kickstarter Campaign to raise funds for a new recording of John Barry's TV Scores by Nic Raine and James Fitzpatrick. We would need £15,000 and Tadlow music would provide the other half. We would like to be assured that there is a reasonable chance of support for such a campaign before launching it.